The greatest challenge Cal Poly faces on its path to carbon neutrality is transforming the way commuters get to campus as commuting accounts for nearly half of total campus carbon emissions. The 2018 campus Transportation Survey found that emissions from commuting were up 36 percent since the 2015 survey, partly due to improvements in survey language and methodology that influenced responses and captured more data. Increased emissions were attributed to increased student enrollment, a reduction in bus service offered by SLO Transit in Fall of 2017, and increasing housing costs in SLO which continue to push faculty and staff into surrounding communities, and students into neighborhoods further from campus. To move toward carbon nuetrality, Transportation and Parking Services (TAPS) continues to promote and expand sustainable transportation options including restoration of some of the bus route frequency previously reduced, enhancement of vanpool and carpool programs, development of more electric vehicle charging stations, and increased educational outreach to the campus community. Bicycling is a great way to get around campus and the community in a sustainable fashion. 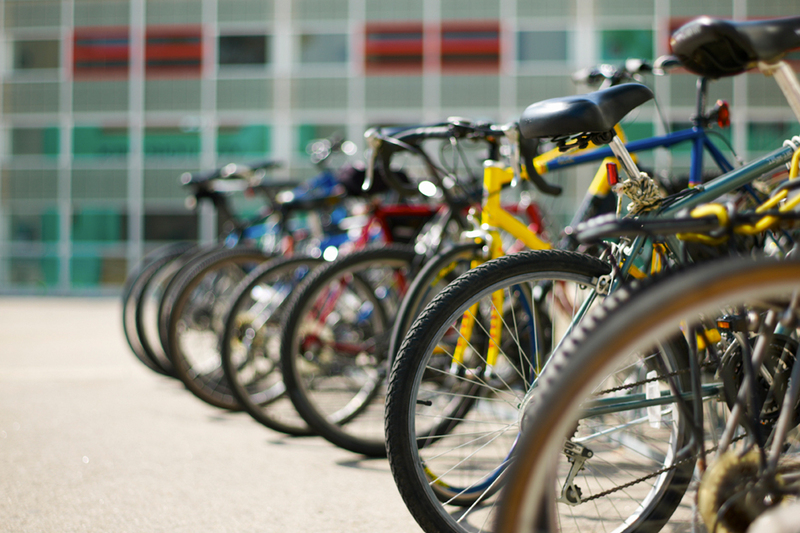 There are over 7,000 bike rack spaces on the Cal Poly campus. Cal Poly also recently was awarded a Bronze level Bicycle Friendly University award, joining over 180 colleges and universities from across the country. The Bicycle Friendly University program evaluates the campus’ efforts to promote bicycling in five primary areas: engineering, encouragement, education, enforcement, and evaluation/planning. If you need a bike to get around campus, be sure to visit the biannual bike auction that takes abandoned bikes and recycles them back into the community. Proceeds from the auction continue to fund university bicycle safety and education programs.To learn more about the bike auction or biking on campus visit the Cal Poly Transportation and Parking Services website. Cal Poly was named one of San Luis Obispo County’s “Best Workplaces for Commuters in 2018.” TAPS works to provide exceptional commuter benefits to all Cal Poly employees. Faculty and staff who are registered and actively recording their smart commutes qualify for a $0.15 per trip credit on their Poly Card and an emergency ride home program. 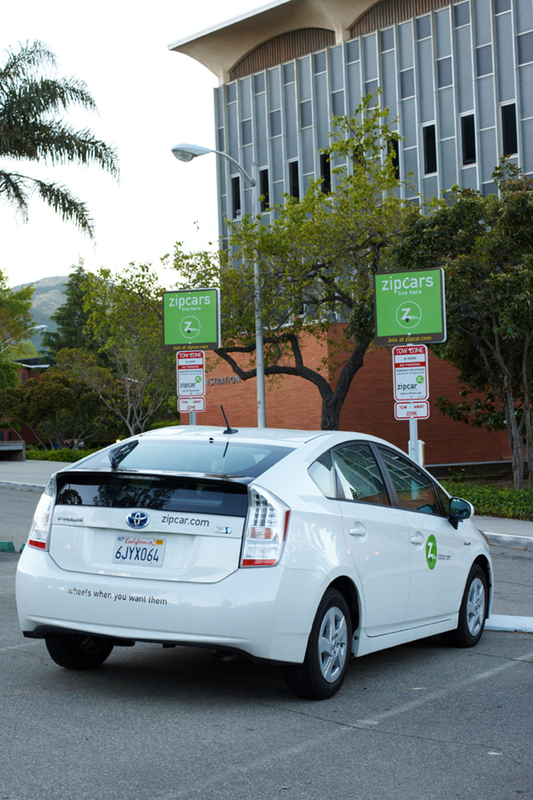 Zipcar is also another great rideshare opportunity at Cal Poly. In 2017, Cal Poly’s student, faculty, and staff Zipcar members helped reduce CO2 emissions by over 1,100 metric tons. Use of Cal Poly’s 10 available Zipcars was equivalent to the elimination of 103 personally owned vehicles on campus. 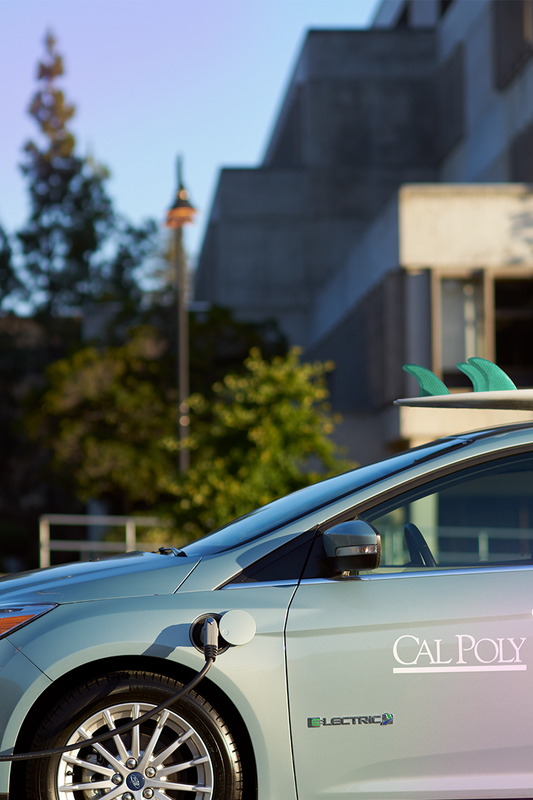 Cal Poly is one of two CSUs where Zipcars are available for hourly or daily rental. There is also an effort to encourage adoption by campus departments for day-to-day business to reduce the size of the campus fleet and carbon emissions associated with older fleet vehicles. To learn more about Zipcar, Rideshare, and Vanpool visit the Cal Poly Transportation and Parking Services website. SLO Transit adopted their short-range transit plan during the summer of 2017, providing new and more efficient routes to and from campus. 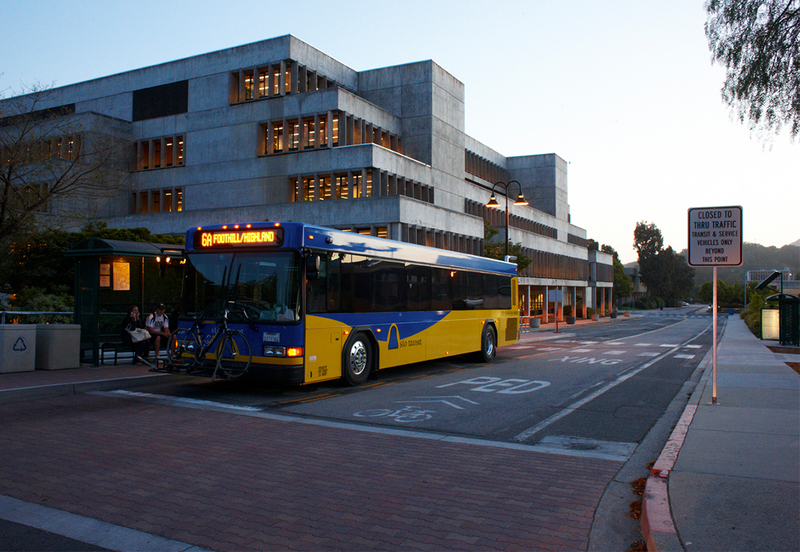 Cal Poly represents approximately 50–60 percent of the SLO Transit ridership. TAPS pays a subsidy to SLO Transit from parking citation fines to allow all Cal Poly students, staff, and faculty to ride free of charge. To learn more about SLO City and County transit visit the Cal Poly Transportation and Parking Services website.